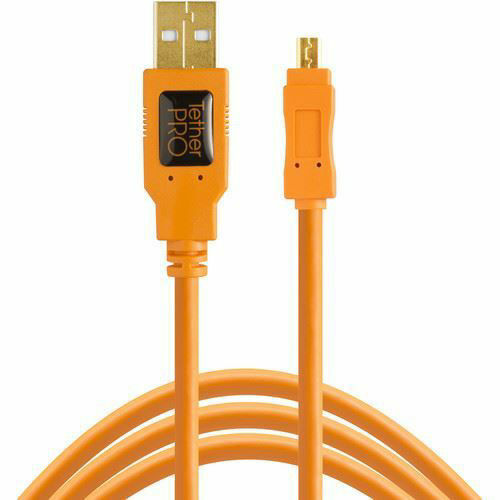 The TetherPro USB 2.0 Type-A Male to Mini-B Male Cable from Tether Tools is used to transfer files and images from your Mini-B compatible camera to a USB Type-A equipped computer or laptop. It adheres to USB 2.0 specification and can thus transfer data at up to 480 Mbps. Built with gold plated connectors for corrosion resistance and reliable conductivity, this cable also has a reinforced Ferrite core that filters ourt signal noise and reduces electromagnetic interference. Box Dimensions (LxWxH) 6.221 x 5.276 x 0.709"
Become part of our 8,00,000+ community. Get Rs.300/- coupon instantly! Copyright © 2019 imastudent.com. All rights reserved.